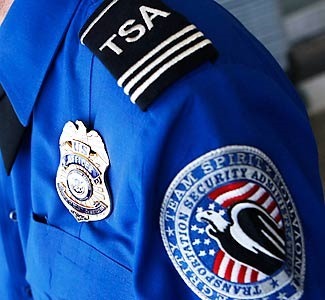 Travelers passing through TSA checkpoints are sometimes asked to turn on electronic devices like laptops and phones, but that's about to be mandatory for passengers on direct flights to the US from certain overseas airports. This is part of the enhanced security measures recently ordered by Secretary of Homeland Security Jeh Johnson. If your phone (or some other device) doesn't turn on, you'll have to leave it behind. When the TSA asks for a device to be turned on, they're really just making sure it's not a bomb in disguise. The idea is that if you were trying to smuggle a bomb onto the plane inside a hollowed out phone, it wouldn't still act like a functional phone. While that's probably true, it's certainly possible someone could figure a way around that. So now the terrorists will have to find other places to put all those bombs. If you can't power up a device when trying to board one of these international flights, you won't be allowed to take it on the plane. You either miss the flight, or leave the device behind. Anyone with a dead battery will also be subject to "additional screening measures." Have fun with that. You might want to travel with an external battery, just in case.